Stoosh’s Mega Man outfit here cost around $50 and is made mostly from EVA Foam. 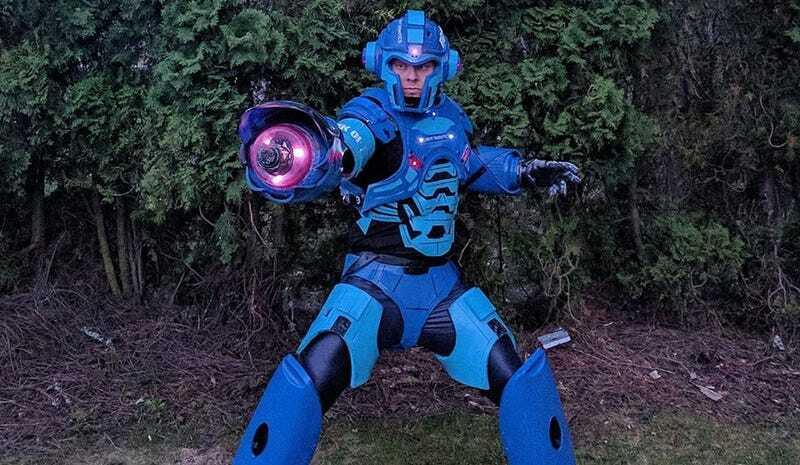 It is also the best Mega Man cosplay I have ever seen. Based on some art he found online then modified to look more like the Blue Bomber, it’s exactly what I’d want from a new Mega Man if I dared trust Capcom to do the character justice. Which I don’t. So let’s just look at this cosplay, squint a bit and dream. You can see more of Stoosh’s cosplay at his Facebook page.